This programme provides you with the skills and knowledge to work in a range of roles working alongside people, family and whānau across health and wellbeing sectors, including mental health and addiction support work. relate the purpose and impact of own role to the aims of the wider health and wellbeing sector. work alongside people, family and/or whānau in a mental health addiction setting to support autonomy by using tools and strategies to foster hope, support recovery and build resilience. To complete this programme, students must achieve a minimum of 120 credits. Students must attend at least 80% of weekly study days. Aim: To develop learners’ ability to engage with and communicate with service users in a manner which respects their socio-cultural identity, experience and self-knowledge. "Service users” includes people, family and/or whānau accessing health, social and community services. Aim: Enable learners to explore the NZ, regional, community and social contexts of health and wellbeing (mental health and addiction) services; the availability and accessibility of community networks and resources; and factors influencing safety for service users, their whānau and others involved in those service. 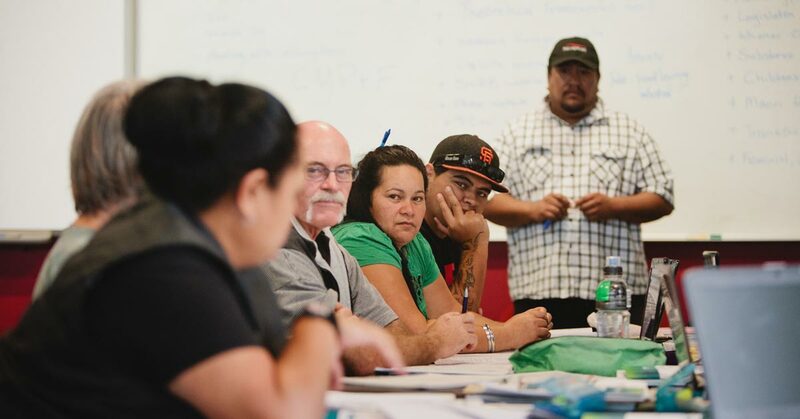 Aim: Introduce learners to models tools, strategies and interventions used in mental health and addiction settings to work alongside people and their whānau to support autonomy, build resilience, foster hope and support recovery. Aim: To provide the learner with an experience of applying and reflecting on their knowledge, values, strategies and skills with service users and their whānau (in a mental health and/or addiction setting). With a focus on fostering hope, building resilience, supporting autonomy and recovery. Aim: To introduce the learner to foundation concepts in Māori world-view; foster an understanding of the history of Māori as tangata whenua and knowledge of person-whānau interconnectedness; and to enable the learner to relate these to their own role in a health and wellbeing setting. Aim: To introduce learners to issues relating to: human development (life stages); medications and medication handling; and at least one other topic of interest, within a health and wellbeing/mental health and addiction setting. Aim: To explore roles and role boundaries of support workers in health and wellbeing/mental health and addiction settings; and familiarise learners with legal, ethical and exploratory frameworks by which the learner is able to reflect on their professional practice, personal and professional boundaries and their professional development. Aim: Application of, and consolidation of, learners’ knowledge, strategies and role-specific skills (in a mental health and/or addiction setting), with service users and their whānau. With a focus on fostering hope, building resilience, supporting autonomy and recovery. For graduates who intend to pursue further study related to health and wellbeing, this qualification may lead on to the New Zealand Certificate in Public Health and Health Promotion (Level 5), New Zealand Diploma in Addiction Studies (Applied) (Level 6) or bachelor’s degrees in related health and wellbeing subject areas. For graduates who intend to pursue further study related to leadership and management, this qualification may lead on to the New Zealand Certificate in Business (First Line Management) (Level 4), the New Zealand Diploma in Business (Level 5) or bachelor’s degrees in related leadership and management subject areas. All applicants must be prepared to authorise a current police check to ensure suitability. The Vulnerable Children Act 2014 will prohibit students with “specified offences” from working with children in some roles and this may hinder their ability to complete the qualification/s. Students should check whether their convictions apply. A full list of the specified offences can be found here (search for “specified offences”). Since graduating Krizia has moved into work at Waikato District Health Board with an acute mental health service ward for older persons. She has also completed a Postgraduate Certificate, Diploma and a Master of Nursing at the University of Auckland, graduating in May 2019. “The NorthTec International Committee went that extra mile to help us with anything. Whangarei is peaceful, clean, and close to nature, and the students were really supportive. A NorthTec social work student is off to Sydney for a five-night, expenses-paid holiday after winning a radio competition for being a “community legend”. Community services and organisations gathered at NorthTec Kaitaia On Thursday March 30th to introduce their services to staff and students.